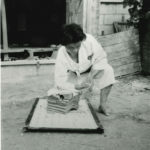 10% discount on 5 or more books, 15% discount on 10 or more books. 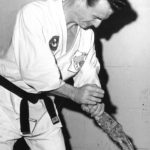 “Okinawan Martial Art History and culture is in danger of being lost forever, says Kyoshi James Coffman in his fascinating historical new book “One Man’s Quest for Perfection”—The Dying Art of Karate. 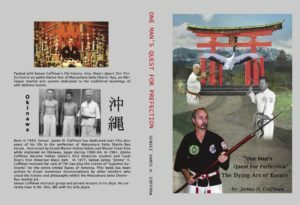 This soon-to-be MA classic is must reading for every Okinawan stylist regardless of rank who’s passionate about preserving the ‘Old Ways’ of Karate-do as taught on Okinawa. 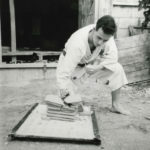 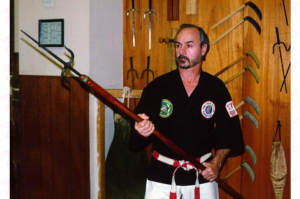 Coffman’s authoritative masterpiece is about his life story (50+ years) on being the first American student (1961) of the late Grand Master Hohan Soken’s Matsumura Seito system of Shorin-ryu karate..